FREE!!!!! 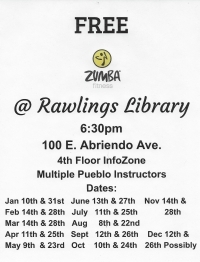 !Come join Margarita Evans, Josh Mascarenas, Monique Ruth and many more Pueblo Zumba Instructors for an amazing workout. Dont forget that water bottle and sweat towel!! 4th Floor Info Zone. 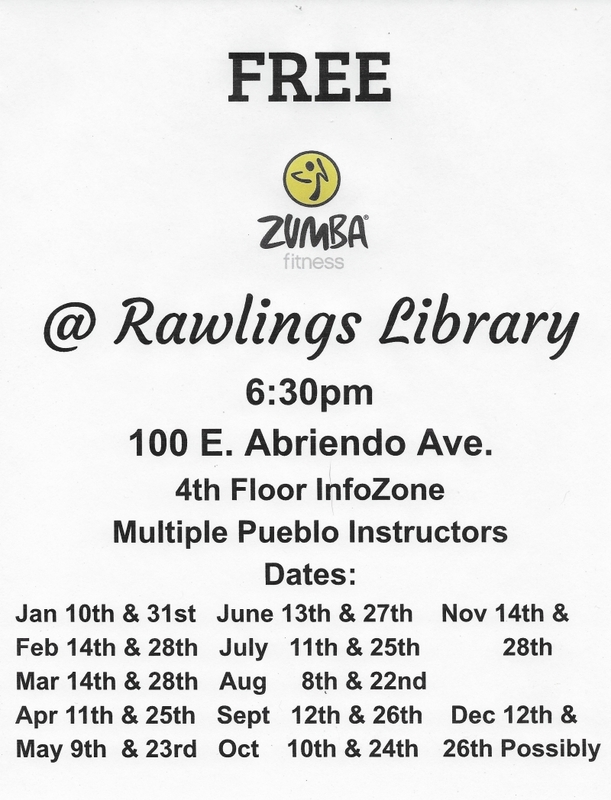 CLICK ON PIC FOR ALL DATES IN 2019, Usually the the 2nd and 4th Thursday of the month.